After finishing my exchange semester in Hong Kong I spent many weeks that summer traveling by train through China. Ascending the hewn granite stairs of Tai Shan Mountain in the pre-dawn morning light, a local bedraggled man approached me with a wad of bills he had just found and excitedly asked me whether I knew what currency was in his calloused hands. Looking down I saw three faces of Yi Hwang and one of Yi I who—I would later learn visiting the Bank of Korea Museum—were both Confucius literates of the Joseon Dynasty in present day South Korea. He thanked me and hurriedly continued on his way down the mountain. 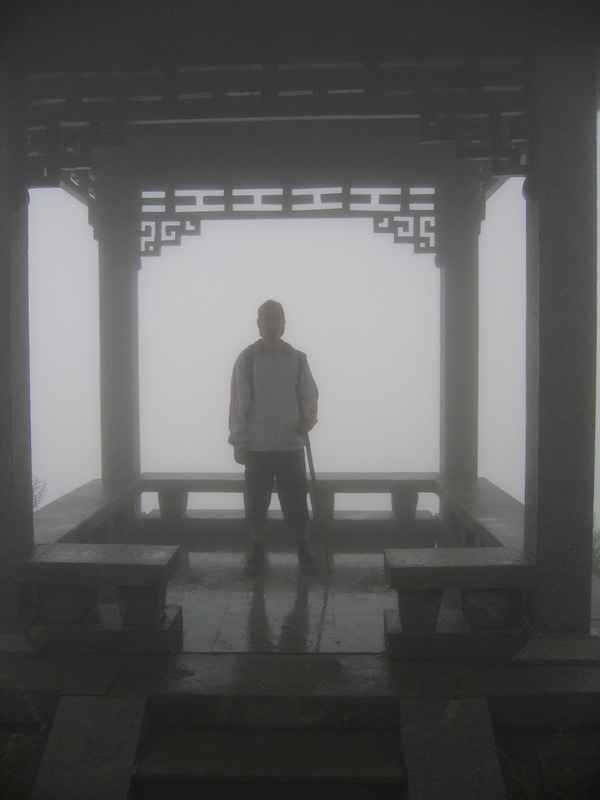 I forged on up the mountain and when I reached the peak, which was shrouded in mist, I reflected on this unusual exchange as somewhat of an omen as my next planned destination was to take a 14-hour ferry ride from Qingdao to Incheon port then journey onwards to Seoul. In the height of summer I experienced Sambok the hottest days of the year. At this time Koreans believe you should eat hot dishes, such as Samgyetang (ginseng chicken), to fight off the weariness and fatigue of the summer heat. 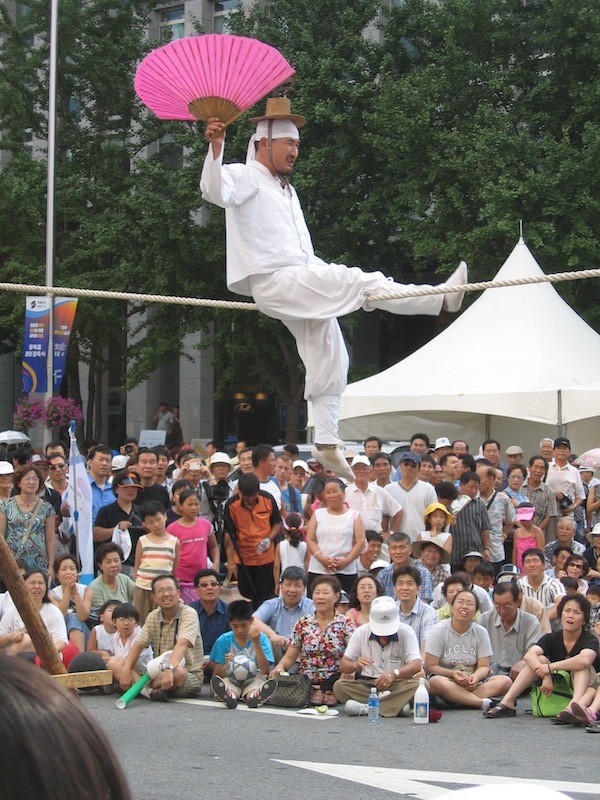 That summer of 2005 there were many festival events, such as traditional dancing and tightrope walking, and for liberation day Seoul City Hall was covered in thousands of Taegukgi, South Korea’s national flag. The flag is made up of three parts: a white background, a red and blue yin and yang center representing balance and harmony in the universe, surrounded by the trigrams (four classical elements of heaven, fire, earth and water). 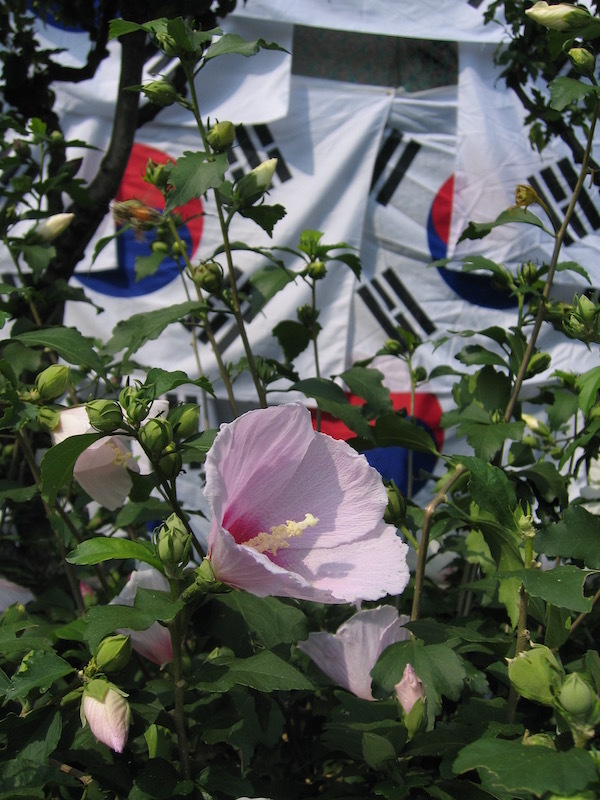 In front of Seoul City Hall were also placed many Korean roses (Hibiscus Syracuse) the national flower of South Korea with its Korean name meaning “inexhaustible abundance.” That’s exactly what one feels when visiting Seoul, an inexhaustible abundance of culture, food and art that seems to attract so many overseas visitors to this hidden Asian gem. That was my first experience of the wonders of warm summer Seoul days. Fast forward 13 years later and I am heading back, this time to Incheon airport on T’way Airways to experience the first burst of colors from the cherry blossoms and magnolia flowers that cover the city in spring. 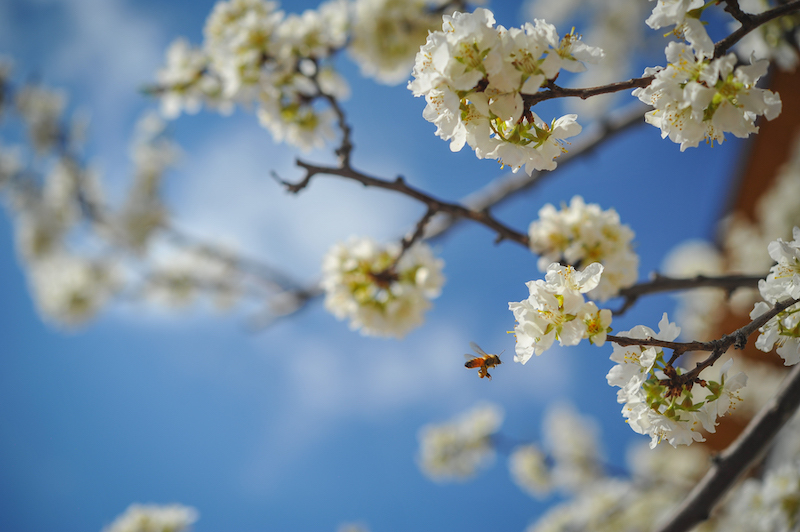 This being the Facebook age, for a week prior I had been seeing posts that warmer days had arrived and the cherry blossoms had started to bloom. Unfortunately, when we jettisoned the aircraft the weather was inexplicably cold and for the next few days there were bleak skies and cold sleety rain. This is exactly what had happened this year! Finally a break in the weather allowed for a crisp clear, yet still cold day where my wife and I could take the cable car up to the wooded park of Namsan Mountain. At the peak sits Seoul’s iconic Namsan tower, where we could see an endless view to the horizon of skyscrapers sprawled out in every direction, doted with flowering cherry blossoms around the slopes of this park in Seoul’s city center. Korean restaurants are made for group meals of four or more so if you enter solo or as a couple the server will often look at you funny if you propose to get one dish and share it among two people. The reason is the ban chan, the accompanying small side dishes such as kim chi, thin pancakes, tofu, steamed egg, dried fish and seaweed one receives when ordering any meal. Although these accompanying dishes are free they are obviously factored into the meal’s price. Korean food is murderously spicy and the first time I tried jjimdak, a hotplate of chicken pieces and clear starch noodles marinated with potato carrots and masses of chilies, I got halfway through and had to run across the street to the convenience store to purchase a carton of milk to neutralize the numbing fire burning my mouth and lips. Maybe because of the harsh cold weather, Koreans have developed a taste for anything spicy to warm them up. The Korean national dish kim chi is fermented cabbage marinated in salt, spices and chili paste. In the dead of winter it used to be buried in earthenware jars in the outside back garden. Today Korean homes have dedicated kim chi fridges to separate the delicacy from other foods otherwise the strong smell will permeate into every other foodstuff in the household’s regular refrigerator. 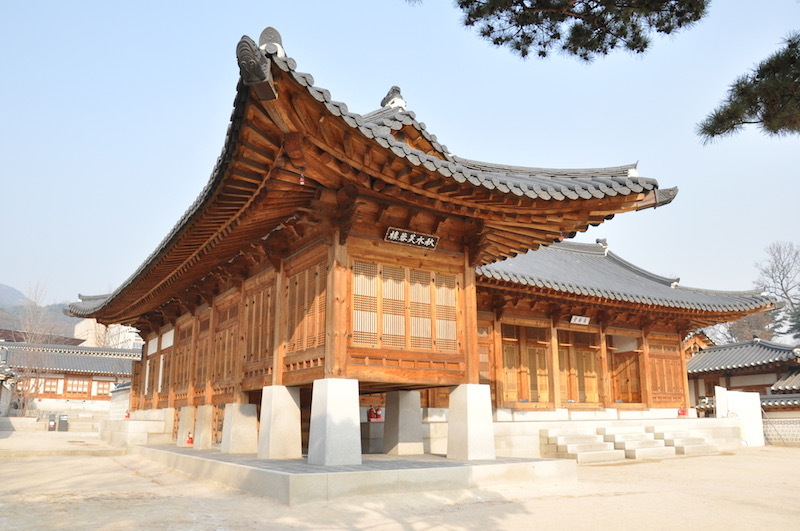 Five grand palaces of Seoul stand throughout the city, transporting the visitor to the classical romanticism of the Joseon Dynasty. Although many of the original buildings were destroyed by Japanese invasions and early 20th century occupation, the palaces have been painstakingly reconstructed by skilled artisans in the traditional style of interlocking wooden beams and ornamental ceramic roof tiles. 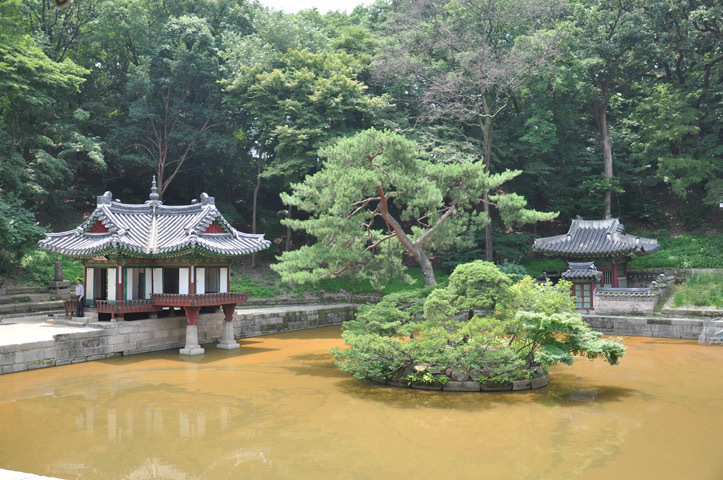 In the East of the city, in the grounds of Changdeokgung Palace, is a 78-acre garden affectionately known by the locals as the “secret garden” (biwon). Previously, it was reserved solely for the royal family and even high officials were forbidden to go there without permission from the King. The meticulously manicured gardens contain trees over 300 years old, a lotus pond and a pavilion as well as kitchens and horse stables. 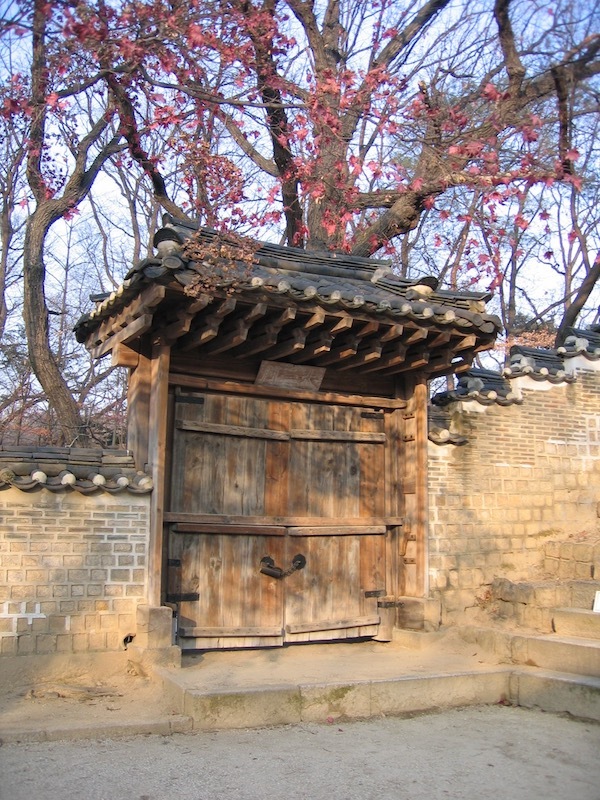 During the Joseon Dynasty archery tournaments and firework displays were held for the royal family. 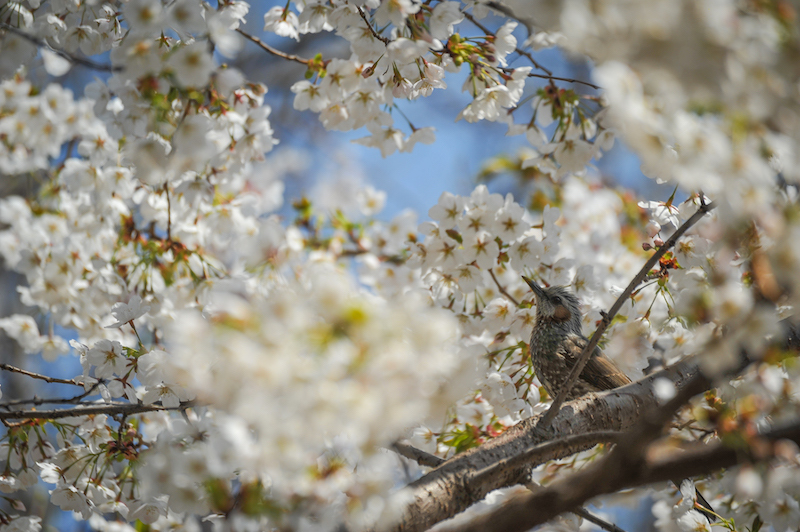 Today large crowds of tourists get guided tours of the gardens in Korean, English, Japanese and Chinese. Churches adorned with white crosses on their steeples dominate Seoul’s urban architecture. Christianity is the second largest religion in Korea and it is estimated there are three times more churches than convenience stores, which equates to one church for every 660 people. 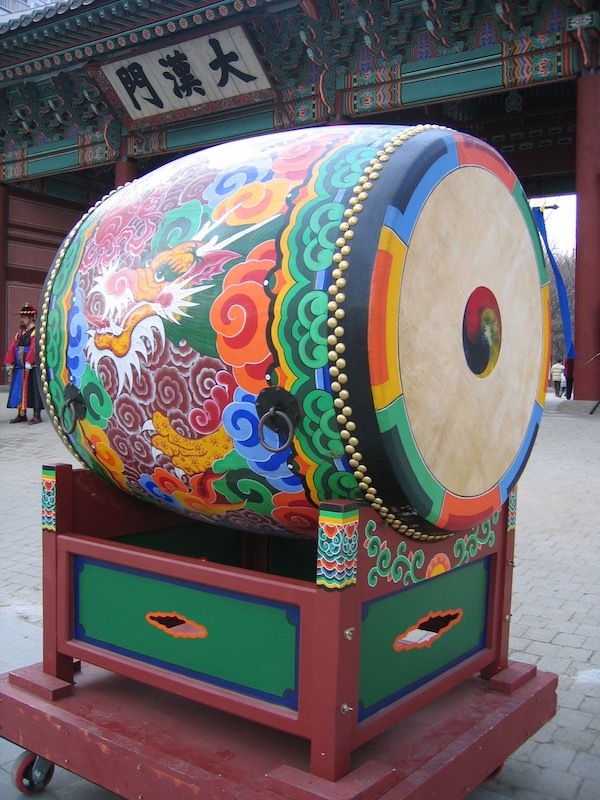 Even so, Buddhism and Confucianism still dominate Korean life as one of the major influences shaping its society. In Gwanghwamun Square stands the formidable figure of Admiral Yi Sun Sin with a cast iron model of his armored warship dubbed the ‘turtle ship’ that was adorned with a dragon’s head covered in spikes and armed to the teeth with an array of canons that he used to defeat the Japanese in over 20 naval confrontations off the coast of Korea. Commanding the center of the square sits the statue of King Sejong, the leader who is credited with developing the Korean writing system way back in 1444 AD. Koreans are extremely proud of their writing system and will often proclaim that it is one of the most scientific and phonetically accurate alphabets ever created. Previously like Vietnam in ancient times, Chinese characters had been used to represent Korean words. King Sejong changed this by creating Hangul, an alphabet of 24 distinctly Korean letters that didn’t need years to memorize and could easily be learned by all his citizens. Leaving Gwanghwamun Square, Cheonggyecheon stream begins its journey as a modern urban renewal project costing approximately USD281 million dollars to complete. It has revitalized the city of Seoul and brought back to life the natural stream that was cemented over with an elevated expressway during the economic transformation of the city in the second half of the 20th century. The new stretch of stream has added a large public space for locals and tourists to enjoy with a park and walkway along its full 10.9km length. Seoul has reached a historical zenith, becoming a global city of economic and cultural importance labeled “Miracle on the Han River,” which has helped facilitate the export of culture, knowledge and technological transfer to other countries like Vietnam. Some estimates put the number of South Koreans living and working in Vietnam as high as 130,000, the largest expatriate community by far here in Vietnam. One might say a transfer of Korean won n’ roses exchanged for Vietnamese dong and lotuses. To understand the economic changes going on these past five to ten years in major cities like Hanoi, Danang and Ho Chi Minh City, I would strongly suggest a trip to Seoul, to get an idea of what the future might hold for Vietnam, the ascending dragon’s tail of Asia.